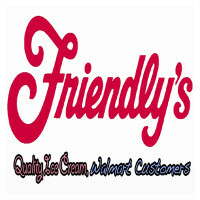 Friendly’s is an American diner-style restaurant chain that operates in the East Coast. The company has locations in New York, New Jersey, Pennsylvania, Virginia, Vermont, South Carolina, Rhode Island, New Hampshire, Florida, Maryland, Maine, Delaware, Massachusetts, and Connecticut. In 1935, brothers Prestley and Curtis Blake founded the company in Springfield, Massachusetts as “Friendly”, an ice cream shop. Unfortunately, when WWII broke out, Friendly’s had to close shop until the end of the war. However, they managed to expand shortly after re-opening, and by 1951 they had 10 locations in Connecticut and Western Massachusetts. In July 2013, the Company set the Guinness World Records title for the “World’s Largest Desert Party”. The event was attended by more than 790 persons. The company hosted the party to celebrate their 78th Birthday and the National Ice Cream Month. The company’s employees get a bunch of benefits such as the employee discount which they can enjoy after their shifts. They also get a good job training program and flexible schedules. What employees love about their experience working for the company is the competitive pay rates. They also like the workplace atmosphere in the company’s restaurants. For applicants to get accepted for entry level jobs at Friendly’s, they need to have the necessary skillset and pass the minimum age requirement of at least 16 years old (18 years old in some states). Friendly’s offer rewarding careers for job seekers with varying skills and expertise to ensure that their customers get the best experience. Server: A server is a part of the wait staff and does a variety of tasks. These tasks include taking and serving orders, giving utensils and drinks to customers while they are waiting, and providing customer service. They need to endure standing and walking around for most of their shift. Servers need to be properly dressed and groomed, and to possess a pleasant attitude. Cook: A cook prepares ingredients and makes dishes according to the company’s recipe. For them to be effective, they need to have extensive knowledge about the restaurant’s menu so they can prepare dishes that meets the company’s standards. Cooks need to follow the rules and guidelines in sanitation and food preparation. Host: A host entertains guests from their arrival up to the moment they leave. They are typically stationed at the restaurant’s entrance. Hosts greet customers, lead them to their tables, ask for anything that they might need, and answer any questions. They need to groom and dress themselves properly. Dishwasher: A dishwasher’s job is to ensure that the restaurant’s equipment are always clean. Dishwashers clean flatware, cutlery, utensils, glassware, and other kitchen equipment. Because they deal with fragile items such as plates and glasses, they need to work with care. They also need to be able to understand and follow the standards in terms of sanitation. Cashier: A cashier’s job is to process the customers’ transactions. They operate the restaurant’s cash register and are responsible for taking care of its contents. Cashiers need to be quick to prevent long queues which will help the establishment operate smoothly. They also provide customer service by answering questions from customers and providing suggestions. Delivery Driver: A delivery driver ensures that products arrive fresh at the customers’ location. They need to be good drivers and can navigate through the local neighborhood. Furthermore, they also need to be disciplined in following traffic rules so they will not cause any trouble for the restaurant. Delivery drivers are also responsible of taking care of the vehicles that they drive. Customer Service Representative: A customer service representative does a variety of jobs for customers’ satisfaction. These jobs include answering questions, providing information, giving suggestions, and giving customers anything they need. On busy days, they can also run the cash register and serve meals. They need to have a good attitude and possess patience in dealing with customers. Manager: A manager keeps an eye on the restaurant and ensures its smooth operations. They can serve as quality control by checking food preparation and serving sizes. Managers also need to make sure that the staff is doing their job. They also need to provide customer service especially when the restaurant receives complaints. Managers need to have good leadership skills. Scoopologist: A scoopologist prepares the restaurant’s deserts. They need to be creative and yet still follow the recipes to create consistent tastes. Scoopologists need to follow the rules and guidelines in sanitation and food preparation. Furthermore, they also need to groom themselves properly. General Worker: A general worker performs a variety of duties. These include cleaning the establishment and its equipment. General workers also do repairs. They can also do other duties depending on the management. General laborers perform jobs that include physical activity so they need to be physically fit and healthy. Job seekers who wish to apply for a job at Friendly’s only need to submit a fully accomplished application to one of the company’s restaurants. If the applicants don’t prefer an in-store application, they can apply via an online application. They simply have to go to the careers section of the company’s official website and find their ideal job. In filling up the application form, the applicants are advised to read the form thoroughly and to take their time to avoid making errors. They should also avoid erasures so the application would look neat. For the resume, they must keep it short yet still informative so it will be more convenient to read. They should also list their past working experiences chronologically and make sure that they only write relevant information. To prepare for the interview process, applicants should review their personal information and prepare for the interview questions by searching for frequently asked interview questions and practicing an interview with a friend. The Friendly’s culture is all about friendship. They make sure that the staff, management, and customers develop friendships and are having the best experiences one scoop at a time. In January 2018, the company announced that it will release a new limited edition ice cream flavor, the Nor’Easter Pothole, inspired by the potholes made during this particularly harsh winter season. The restaurant chain is known for the variety of dishes included in its menu and for their ice cream, all 22 flavors of them. They also have ice cream only take-out windows. In 2017, the company invited customers to try their Friend-z products. They donated $2 for every $2.99 Friend-z purchase in support of the Boys & Girls Clubs of America and to celebrate the National Ice Cream Day. 1 How old do you have to be to work at Friendly’s?